Since 2008, Karen has built an interior design practice upon the values of listening and collaboration. By asking questions to uncover personal values and individual preferences, Karen helps her clients discover their own inner designer. For Karen, the greatest thrill is when a client experiences the “aha!” moment when the perfect aesthetic solution reveals itself and clients can embrace a way to move forward that fully reflects their lifestyle. Karen works closely with clients to create a budget and curate the best options to fulfill their vision within the scope of that budget. With an eye to reducing client stress, Karen thrives as a problem-solver, matching clients with the products and vendors that will deliver the home or workspace of their dreams at a price they can afford. Karen’s Portland, Oregon based practice is a full service interior design firm specializing in color consulting, space planning, kitchen and bathroom designs, full remodel design, lighting, living room and bedroom decor, custom furniture and window coverings, hard surface material selection, accessory acquisition and staging for home sales and new construction. I am a residential and commercial design firm focusing on creating value by responding to my client's needs and desires and by bringing fresh,out-of-the-box thinking to the table. I focus on kitchen and bath remodels, in addition to, new construction addition design. I also provide universal design for those needing to age-in-place or have accessibility challenges. Whether it is a quick upgrade or a complete home masterplan, no budget is too small. With over 35 years of residential and commercial design experience, I pride myself in guiding my clients seamlessly through the design experience, which can be daunting with all the decisions to be made. With an architectural degree and experience, I have the design knowledge and creativity that contractors and design/build companies may not have. My strength is in space planning and thinking three dimensionally, so that all the details and spatial planes come together in a complete way. The result is a painless project that comes in on budget and on time. By planning ahead, there are no mistakes and costly tear out. My team works with my clients in a cooperative, interactive style that results in a beautiful product that functions at the highest level. My product knowledge, both technically and aesthetically, will make the selection process flow with ease. Extensive travel experience inspires me on a daily basis.My love of color, design and fibers are my personal design preference, however many of my clients need a more timeless approach because of budget and longevity. I like to think that we can do both and my goal is to respond to my clients by creating a fusion of the two concepts for the design solution. STUNNINGLY BALANCED, SOPHISTICATEDLY COMFORTABLE, FUNCTIONAL INTERIORS Di Barker is known for creating designs that are timeless and her interiors are spun together with a glamorous fashion sense and hints of her global signature style. She does this very successfully by grounding her design projects with a tangible harmonic energy that resonates through all of her work. Living in 3 countries and her exciting travels to 31 others around the world has forged her deep appreciation and fascination for history and diverse cultures. Valuable experience is in the high end property market as well as in the fashion industry earlier in her career awakened her intense passion for architecture and design. She continuously draws upon her intercontinental life and travels to create a constantly evolving design voice that speaks to her elegantly grounded sense of style. Di describes herself as a modern traditionalist. She believes the key to her approach is embracing beautiful traditional styles and transforming them into the relevant lifestyles of today. A good home design professional will hone your style down to its very essence and be able to choose a functional layout that feels natural to you. Interior design companies can be involved as much or as little as the client desires. 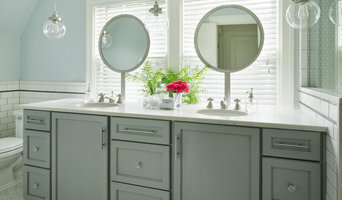 Many clients who hire an interior decorator in Lake Oswego, OR — particularly those who are remodeling — have a good sense of how the room should look and what products they should use. Often clients will insist that interior decorators use the products already present in the house. Other times a designer will need to start from scratch — especially if this is a newly purchased or just-built home. An interior design company will need to figure out exactly what the client needs, which includes organizing rooms, picking flooring and wall colors, and finding furniture to complement it all. 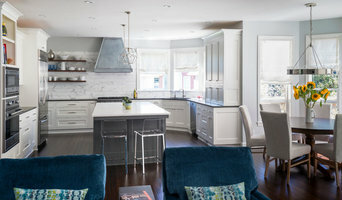 Sometimes that means he or she will have to recruit help from other Lake Oswego, OR home professionals to help create the perfect look for your renovation. Here are some related professionals and vendors to complement the work of interior designers & decorators: Architects & Building Designers, General Contractors, Home Builders, Design-Build Firms, Photographers. 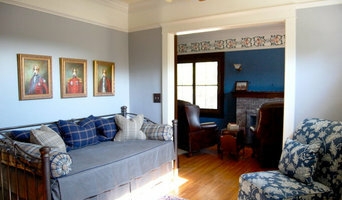 Do your research before meeting with an interior designer or home decorator in Lake Oswego, OR. Ask yourself what you want your space to become and what it will be used for. Figure out the extent of what you need help with, what your must-haves are and what your budget is. Interior design services can add up fast, so be up front with a potential design firm or individual from the beginning. Also, pick an interior decorator that fits your style. Browse through the portfolios of different Lake Oswego interior design firms and decide if you would live in those houses. Just because you like something doesn’t mean you could live in it. There's a big difference! 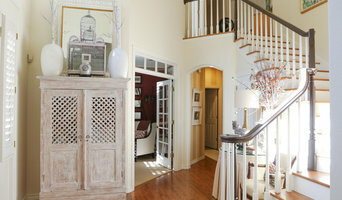 Find an interior designer or home decorator in Lake Oswego, OR on Houzz. Narrow your search in the Professionals section to find Lake Oswego interior designers near you. 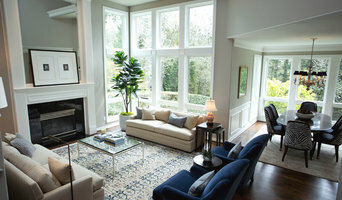 You can also look through Lake Oswego, OR photos to find a room you like, then contact the design firm who designed it.